Time to put one of these bad boys together. Took a little longer because I had some change in philosophy of what this teams needs. I am starting with the baseline of the $45m in cap space for 2018. I am still confused on what some of these sites (Spotrac and Over the Cap) are saying with the Tavon contract situation. He has a Roster Bonus due coming up, which according to the NFL Rules, isnt guaranteed until he is on the roster for a given date (originally reported to be the 3rd day of the 2018 league year) and from everything I can find would leave us free and clear of his contract, But suddenly they say it would cost us $5m. I am going with what I believe is correct, and that it will clear his entire money. We have had the arguments, but he does have one elite skill set, it just doesnt fit this offense. He isnt worth near what the contract we gave him, and we dont need to spend another cent on him. Im sure he will catch on somewhere, and have an impactful play in a big game, and we will all wonder why we could never figure it out. We might be better than years past, but that is a Rams tradition that will never die. While Barron racked up tackles, he is all encompassing of what wasnt working with this defense. He was just not a good fit. He is a lesser version of Ogletree, and he would save more money being cut. He will likely end up in Cleveland with Gregg Williams and still be productive, but we need something completely different in the middle of this Wade scheme. 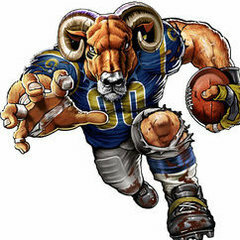 Saffold has been our most reliable lineman for a long time. That is weird to say with how often he was banged up, but that had been the state of the Rams OL for a long time. Now that we are starting to collect some talent, we still need the anchors to this line like Rodger. He is currently set for a $7.5m cap hit in the last year of his deal. With him about to hit 30, and his injury history, its doubtful that he will be cashing in another time. But he can get a pretty solid deal. So to get this done now, lock up the last of his good years, and make some cap space for 2018, we guarentee a whole bunch of this deal, as we would likely be trying to keep him though 2020 anyway. These three are all solid contributors to this team, not sure if any of them will be long term members of the franchise, but they are worth keeping around for this year. No need for any high tenders on these guys, as to me, none of them are irreplaceable. In a weird move we franchised Tru for a second straight year. But it was only due to some special circumstances with the new defensive scheme being implemented. Throughout this season he proved that he fit, he proved that he is a #1 level Corner in this league, and he needs to be locked up, because if he moves on, this secondary could be in bad shape. Now he isnt Norman/Peterson/Rhodes level when they got their deals, and he probably isnt even at the A.J. Bouye level from last year, but he is close. He does get tainted a bit from being overpaid due to the Tag, but a $12m AAV is very fair. Locking him up is a huge step in this offseason (probably 2nd or 3rd on the list), and to keep this defense good enough to be Super Bowl Contenders. Locking Joyner back up should probably be Priority #1 depending who you talk to. He is a stud, and is probably our highest rated Free Agent this offseason. Not only all that, but he would probably be the hardest to replace right now. We would get some one in here, but the drop off from Joyner to whoever would be much larger than any other spot this offseason. he and Johnson have formed a nice Safety duo, and while we have a cheap counterpart for a few more years, there is no reason to skimp here. It was a nice surprise with Sullivan staying healthy this season. I dont know how much more we can count on that, but it looks like we are going to have to for another year. I dont love any of the other Center options out there, especially in the draft. Maybe Kromer has one of these young guys he is grooming, or can find another pupil late in this years draft. But for now we have to pull Sullivan back for another go. We got him real cheap last year, but we will have to buck up a bit for this year. Its probably fake 2 year deal, and he never sees that extra $4m for year two. I was shocked how well NRC played this year, especially after Kayvon went down. Now we really dont know what we can count on out of Webster next year, but to feel safer, bringing back NRC is a must for me. A slot coverman is so valuable in this NFL, especially one who will stick his nose in there at the LOS. Much like Sullivan, I doubt NRC sees year 4 of this deal, but we need to make sure to keep him around. This defense is only getting better in the next season under Phillips. To me Cody Davis is a sneaky signing this offseason. He probably doesnt garner alot of attention on the market, but a versatile backup DB like him is such a nice thing to have. I really like what we found in John Johnson, but we also have to guard against the sophomore slump. I harped on this during the preseason, but we have almost no depth on this team. Why even mention the Long Snapper? Because we currently have the best set of Specialists in my mind (Hekker, Zuerlein, Cooper) and McQuaide is a key part of that. The contract is a bit higher than some LS would get, but we have some space, use it to keep our guys. No real guaranteed money to worry about in this contract either. The defense’s Derek Carrier. I like Barwin alot, he has just lost a step. That doesnt mean he wouldnt be helpful on the roster, he could still be very valuable as a veteran backup. I think he will stick around on year to year contracts for a bit. I have been worried about our backup Tackle situation all year long. And honestly, while there are some projects in the draft, I wouldnt trust any of them to jump in for Whitworth if he were to go down. Now I dont trust Henderson that much more than those guys, but he is a better option than what we had on the roster this year. He can fight for the RT spot as well, but I just would feel better if there was a guy on this roster that we could slide into LT that wouldnt get Goff completely killed. Big add of this offseason. I think we should let Sammy walk, he is going to try and command big guaranteed money, while a guy like Wallace will be more like a series of one year deals. He can stretch the field still, and be that home run weapon that makes the rest of this offense go. I actually think Josh Reynolds can be that guy in this offense, but I know it isnt easy to bank on a 2nd year guy to step into that role. This way, we arent committed long term to a Receiver, in case Reynolds is that guy, we can cut bait without much cap repercussion. We all feel like a change needs to be made at ILB next to Ogletree. Now I know that Posluzny is not what he used to be, and I dont think I would bank on him being the full time starter there, but he is a guy who has worked best in a 3-4 set, and has some veteran savvy left that could be a help to the Defense, much like Barwin in that sense. Yes, I am trading up with our already limited draft resources. But this is a very cheap deal relatively. This team just needs a few things right now to compete, and if we have to toss a couple of mid round picks around to do so, well worth it. I also think that Dallas will be looking for someone very specific, and can afford to drop down a handful of spots and still comfortably grab their guy (that not many else are looking at right here). Usually we see mocks with us trading down (myself included, and I have one of those scenarios as well) but I wanted to see what we could still accomplish if we went and got our guy. I have seen Carter projected all over the place, as high as a Top 32 prospect, and as low as early Day 3. He probably falls somewhere in the middle, likely a 3rd round pick, and to get outside of the Top 75 might be a bit of slipping for him, but due to the long term project that he likely is, I could see guys seen as more impact ready go ahead of him. But when it comes down to it, he is an athletic freak, built to be a NFL OLB. He has the length, bend, strength and enough speed to be a problem off the edge (especially going against RTs). But the things he has shown that really make me drool are his strength to set the edge, and his ability to actually drop in coverage some. He is very inconsistent, and mostly plays on raw ability, but has the tools to be molded into a very good OLB. Another guy who is all over the place as far as prospect rankings. I can see if you have him inside your Top 100 prospects, because there is a whole lot to like about Kiser, but he only fits in certain schemes, and there is a group of more versatile ILBs in this draft, that I think all go ahead of him. Luckily for us, he is the exact type of LB we are looking to pair up with Ogletree. A stout, down hill tackling machine. He isnt just a wide bodied stuffer, but he is better built for the trenches that Tree is. He can also make some noise as a pass rusher from the insides, and I think he can plug in and be a productive piece, allowing Tree to be the athletic playmaker he should be. I think all three of these first picks could be starters on the defense by the end of the season, and we have completely sured up a defense that we all saw the weaknesses in. There are alot of really intriguing OL prospects in this draft, most of them from Small Schools, and they are all going to get overdrafted. That will push the average big school guys down on draft weekend. That is where we can find value this year. We probably wont pull the next LT heir apparent, but we can build some good depth that is needed. Jones is a big body, who looks and plays the part to cover possibly 4 OL spots. He doesnt have any one spectacular trait, but he is just really solid in almost all of them. Thats the kind of talent we need to build up, and maybe he surprises to push Jamon Brown for the other Guard spot. Man I just love Tray, he is just a football guy you want on your team. I think he is going to be very limited in the NFL, he just doesnt have the top speed or coverage skills to be a splash guy. But as a Special Teamer, a backup SS, and even possibly some coverage for a Barron type if you need that in a defensive package, he is a good guy to have If he ends up being more than that in the league, it will be a surprise, but he should be on a roster, and can still be a valuable contributor. You think Joyner gets almost as much as Tru? Decent off season. I think P dawg would be a waist of money, but you also have him coming in cheap. Wallace is meh. You have us addressing NT which is important, but I hate the trade. The Rams are low on assets as it is. What is a 5th and 6th rounder going to do for this team in 2018? Picks outside the the Top 100 usually dont have Year 1 impacts. Outside the Top 150 are mostly projects. Richard Sherman and Cam Chancellor were both 5th round picks weren't they? Regardless though, we don't have much depth on this team. It looked terrible when the corner injuries started, or when any of our starting O lineman missed a few plays. We don't need those picks to come in and dominate, we need depth. I got one big problem. I don’t see the Rams letting Watkins go. I personally think he wants to be with the Rams and the Rams wouldn’t have traded away a 2nd round pick only to let him leave after one season. So I’m confident he stays and the Rams keep their young core group of receivers together (Watkins, Woods, Kupp, Reynolds). I like the first round pick. I’ll just add, don’t be shocked if the Rams used it on Whitworth future replacement at LT. McGlinchey, Williams, Brown would be options. Especially Williams because he has top 10 talent but could fall due to having a down season. Let him learn from Whitworth and Kromer then even in games when the Rams are up by a lot take Whitworth out and play Williams to get game experience. Obviously during the week when Whitworth gets his rest day give the reps to Williams. He will be ready to make an easy transition to starting LT when Whitworth decides to retire. they very well may re-sign him, it doesn’t mean I have to want them to. And to pretend there isnt a chance hes not with the team is just foolish. I’ve said it many times, the second round pick is a sunk cost, it has NO impact on if we commit to him long term (which could, and in my mind likely would, be a bad move and an anchor to our salary cap) This offense doesn’t need your prototypical #1 WR it’s the beauty of the system, so why would we allocate a HUGE chunk of the Cap to a guy that may not even be that type of weapon even if we tried to use him as such? 1) Ew! No, Connor Williams is no where near a Top 10 talent. Not in this draft, not in any draft. There is some who question if he is even a Top 50 talent at this point. I understand what you're doing I'd just do it a different way. Lorenzo Carter is one of my favorite players in this draft so I love adding him. But you're rolling the dice bigtime on our secondary staying healthy and Webster being ready for the season to start. I'm personally moving into the camp that unless Payne or Vea fall to us and one of the CB they love is there at 23 we are likely trading down. Trade down a few take a CB while picking up an extra 3rd and draft Carter and a NT like Settle. We strengthen all 3 levels of the defense. Then use the 2 picks you'd traded away for another CB for more depth, and maybe we can get rid of Hatfield and or Countess. Also we will likely add either a FA at RB or draft one late. Just my opinion, love the detail put in with the signings and I like what you're thinking with the NT, I agree it's vital we upgrade the run defense. Glad you get the point. Clearly my logic was that we should trade all of our firsts for 5th round picks. Nothing to do with you specifically asking about 5th and 6th rounders at all. You can run from this argument all you want. But you picked out two 5th rounders out of like a couple thousand that have become stars. And only one of which did immediately. The vast majority of 5th rounders are journeyman and roster filler. Not impact players. And certainly not impact players as rookies. But you're rolling the dice bigtime on our secondary staying healthy and Webster being ready for the season to start. just look at the Eagles. They lost both a QB and a LT. you could aregue there are no more important parts of the team than those two. And it wasn’t the “depth” behind them that saved the teams year, it was how good they are everywhere else. They are still getting whooped at LT, but the ha e. Are the adjustments with the better talent around that spot to survive. And no matter what he is putting up right now, we all know too well what Nick Foles really is. What starting spot on the OL do we have to worry about? If we don't bring Sullivan back who will likely be cheap and an easy signing Blythe was good there and is a capable starter. My comment about the secondary is adding nothing and depending on Webster to come back fully healthy and TruJo and NRC also missed part of a couple games and we lost both games we suffered injuries to those CB. If you're sure Webster comes back healthy then that's great. OLB we saw little if any drop off when Barwin was out. We have depth there that can start. NT and ILB I think are the solution to our biggest need, upgrading the run defense. Second to that is the secondary, sorry I'm not going to assume Webster comes back 100% healthy. Achilles injuries aren't something to shrug off. He just started walking in a boot on it two weeks ago, that doesn't instill a lot of confidence that he'll be ready for camp. I couldn't agree more with adding some NOW players. I don't think we bet the farm on a veteran team, but 2 or 3 additions will make all the difference. I don't think we can get Tru for anything less than 13 million a year, more like 15-16, which is why I would let him walk. I think we can pick up Talib and one of the mid tier CBs in FA and still save money instead of resigning Trumaine. Posluzny sounds like great fit, I love that acquisition. I think the Sammy argument all depends on money. I don't think he proved that he is worth a true WR1 money. If we can get him on a mid tiered 2 year contract I don't see why we shouldn't resign him, or even a one year prove it deal like Jeffrey got with the Eagles, maybe going through the whole off season will make all the difference. But from what we saw in 2017 he just isn't worth all the dough we'd have to give up to get him. I like Wallace, especially in this market, but most people here probably won't agree with that. If we can get Vea in the draft that would also be my number one pick, but alternatively I would draft one of the OLBs, Barwin was good but I wouldn't count on him being an every down linebacker at his age and I would love to see a big time pass rusher working with our line. Quinn may also be moved so that we can reinvest his cap space in extending Donald, so we would have a hole to fill there. Despite loving our young OLBs like Longacre whom I think can start, I would like to grab a true pass rusher on the outside who can constantly set the edge for our DL. I just truly disagree with resigning Saffold, he had a good year, but that is a position we could really improve on if the right name becomes available. Saffold has been injury and mistake prone through his Rams career. Coaching and schemes really helped our line last year, but Saffold still hasn't convinced me that he is the kind of Guard we can build upon. There is a lot of talent here in the draft so I would be looking for some more promising talent. Not saying we cut Saffold, but I sure as hell would not extend him. There was a game Barwin was out and I didn't notice until the second half. I like Ebukam and Longacre a lot, they can compete for the starting jobs. I understand the need for some experience at the position corp, which is the only argument in bringing him back. I agree that the focus of this offseason is improving depth at CB, which in my mind would involve not resigning Trumaine and investing that in two starters (completely feasible), an then NT and ILB. Poz and Settle would clean that up nice. Leaving us with the opportunity to draft someone who can start at LG (starting spot I worry about) and maybe even develop into our starting LT like Wynn. I've seen him go to us in the first round in a few mocks, he is listed as a LT but would likely play at G for the NFL, I don't see why he couldn't back up Whitworth in a worst case scenario. I’m not gonna be quick to look at Watkins and judge him off of this one year when he didn’t even have a full offseason with the team. Cooks had a full offseason with the Pats and he didn’t have the type of season most expected. Like it’s hard for a receiver to change teams year one and hit the ground running. I’d like to see what Watkins can do year two on the Rams especially having a full offseason with the team. I do respect your opinion though because it’s an interesting take you have. As for the Rams drafting the future for Whitworth. They could do it and technically still play him on the right side if he looks better then Havenstein in camp. 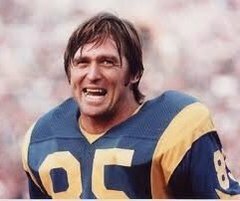 The Rams don’t have that swing tackle on the roster anyway. So it wouldn’t hurt if the Rams feel they could get a talented OT in the first round to compete for the starting RT while being the future LT. At worst be a great option off the bench should something happens to one of the starting tackles.